Years ago I found myself in an unhappy situation. I was unhealthy, cynical, and angry. Understanding that my mindset was half the battle, I came up with a plan to get rid of the dark cloud that seemed to hang over my head. What I ended up doing was constructing ten rules to live by, and following them to the best of my ability. It may sound overly simplistic, and it didn’t change my situation overnight (not many things ever will), but it did have a profound effect on me. It enabled me to stop unhealthy behavior, ditch negative thinking, and embrace a more positive lifestyle by taking away my need to consider it. I had a guideline in place, so if I had a doubt about something, I could remember my rule and move forward accordingly. Over the years, my list of rules evolved. My personality changed, my beliefs became more nuanced, my opinions aged. Some rules were edited, new ones added, and others deleted. What remains is a list of guidelines that may be useful to think about, in my opinion, as we strive to live more intrepid lives. With that in mind, you’ll find a new “Rules for Intrepid Living” post here every Thursday. For now, let’s kick things off with the first rule. Rule #1. There is an exception to every rule (even the Rules for Intrepid Living). Rules of this nature aren’t rules in the way that we normally think of them. They’re guidelines, meant to be followed when helpful, disregarded when not. No one can tell you the best way to live your life, only offer suggestions hoping that they’re useful. My path may not be the best one for you to follow, and there is nothing wrong with that. We’re all in this adventure together, but we all pursue it different ways. So if one of these rules isn’t helpful to you, you just might be the exception. Think of the “Rules for Intrepid living” as advice from a friend, not as unassailable laws. As a matter of course, never blindly accept it when anyone tells you what you can and what you cannot do. 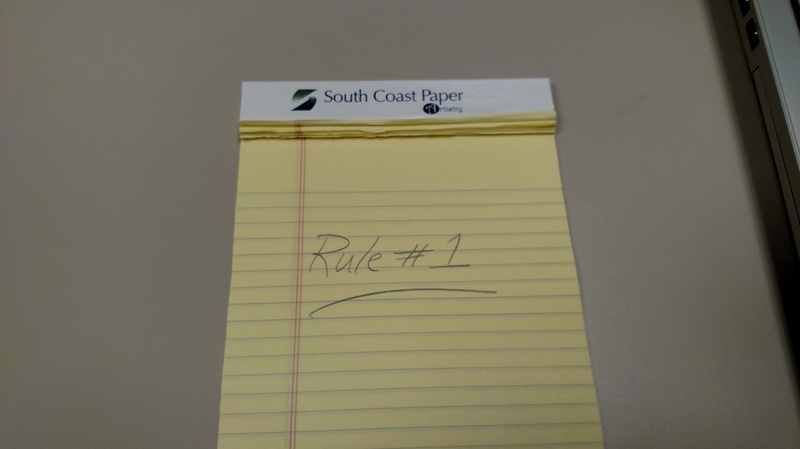 That is the heart of Rule #1.